Deep tissue massage therapy is beneficial in releasing muscle tension. The focus is on the deepest layers of muscle tissue, tendons and fascia. With the use of hands, knees, legs, and feet to move you into a series of stretches whilst applying massage, joint mobilization, and acupressure. Relaxation massage is a gentle massage that uses smooth, gliding strokes to help you relax. Your massage therapist will move at a slower pace and use lighter pressure. Each of the above types of massage we offer, there are numerous upgrades and add ons that we have found to suit everyones tastes and needs. You will find these add on and upgrades below with detailed explanations for you to make your experience with us more beneficial. If your not sure, book online one of the 3 types of massages as we will explain in more detail with you when you come in! 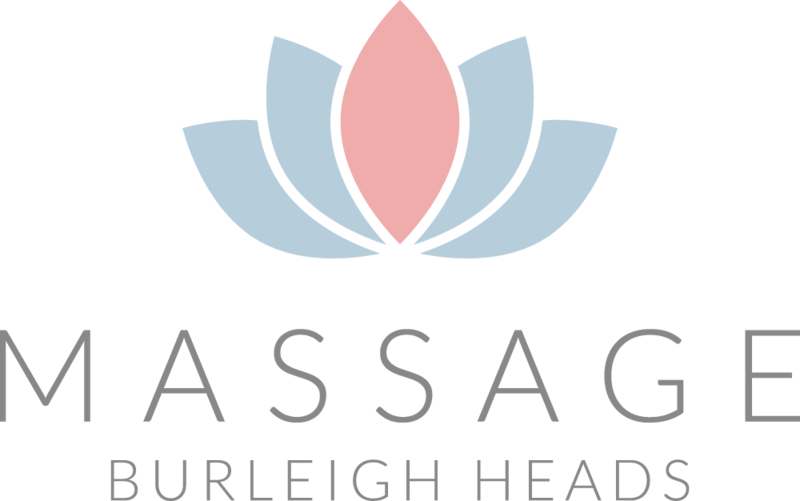 Your Burleigh Heads Massage practitioner will also offer variations to you when you visit depending on what your needs require. For example, when you have your appointment and you have booked a relaxation massage, your massage therapist may suggest a Thai herbal compress or apply special therapeutic creams to assist healing and aid faster recovery and relaxation. Our deep tissue therapists have extensive experience in preventative maintenance therapies for athletes or anyone with active lifestyles. • Uses firm pressure and various therapeutic devices such as cupping and myofascial release tools. If you have a particular area that needs treating or a problem, such as tension headaches, lower back pain or tennis elbow etc then deep tissue massage is for you. Deep Tissue massage can also help to improve mobility and relieve pain and stress. It treats the cause of your pain, therefore relieving any symptoms you are experiencing. Regular deep tissue therapy sessions will help break up and eliminate any scar tissue build up. We often recommend repeat consultations and prescribed exercises are usually required for the long term treatment of chronic and acute conditions. The combination of physical, mental and psychological therapy is what sets traditional Thai massage apart from other types of massage. That’s why the benefits of Thai massage provide an all-encompassing body and mind treatment. While all massage variants promote relaxation as well as muscle relief and reduced tension, Thai massage is one of the most invigorating, as it rigorously works your entire body. Various positions throughout your treatment force fresh circulation that helps with lymphatic drainage. Lymphatic drainage requires muscular movement to help move waste, excess water, and bacteria out of the body. Targeted Thai massage manipulation on the body awakens the nervous system and promotes toxin release, helping you to fight future illness and disease. Massage can also decrease the levels of the stress hormone cortisol. Gentle yet effective stretches done by your Thai massage therapist engages your neck and back muscles, resulting in a stronger and healthier posture. The sequence of stretches is so streamlined that muscle tension is released, and you can take pleasure in relieved back pain. Stress can wreak havoc on your health. Traditional Thai massage embodies a meditative-like state, and strongly focuses on the body’s flow of energy. This calming setting helps to soothe the mind and nervous system, reducing stress and anxiety. Thai massage addresses the most common causes of a lack of concentration, including stress, anxiety, and sleep issues like insomnia. Many people often experience heightened awareness and better focus, too. Applied pressure energises the body by improving the flow of blood. Thai massage promotes better circulation and can also help with digestion, helping you feel leaner and stronger. Relaxation is something that everyone deserves to enjoy on a regular basis. The pressures of modern life can make it difficult to unwind and relax. At Burleigh Heads Massage, our professional massage therapists can provide exceptional relaxation massage therapy that uses gentle and rhythmic movements to melt away any tension and discomfort you may be experiencing. If you’re looking for a relaxation massage in Burleigh - look no further. We provide the finest relaxation massage therapy for relieving built-up stress and tension. Feel free to let us know if you’ve been feeling extra tension in your shoulders, or if your lower back has been suffering some minor stiffness – we’ll gladly focus more on an area of your choice.